Being one of the leading manufacturers and suppliers, we present Nocchi Pumps that are manufactured using quality material. 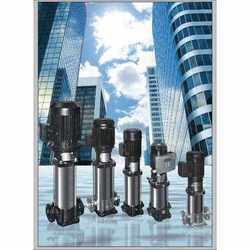 Owing to their efficient working, these Pumps are mostly used for water treatment and sewage treatment plants. Our Nocchi Pumps can be customized in accordance to various requirements of customers. Unbelievable price on Nocchi Pumps in New Delhi (India) company Watco India, Private Limited.